On March 19, the United States announced that it would begin reporting under the Extractive Industries Transparency Initiative (EITI), a worldwide reporting tool used to identify corruption in the mining, oil and gas sectors. This wouldn’t ordinarily be big news – after all, 41 other countries already provide official receipts received from natural resource companies to an independent analyst under the EITI scheme. Resource companies paying taxes and royalties to countries do the same, increasing transparency within a sector that has often suffered from controversy and graft. . But of the nations already reporting under EITI, Norway – which joined in 2007 – is the only other developed country to sign up. Wealthy nations with more significant stakes in the industry – notably Canada and Australia – have so far refused to participate. America’s decision to open up its extractive industries to more scrutiny has led to renewed calls for all developed nations to apply the same rules of transparency to themselves as they do to developing countries. “In recent years there’s been a push to get developed countries to practice what they preach,” said Claire Spoors, the Australian Coordinator of Publish What You Pay Coalition, an NGO network that follows the EITI closely. “It’s become clear that it is hypocritical for developed countries not to do it,” said Spoors. Many developed nations have responded: France, Germany, Italy and the United Kingdom announced plans to join the EITI as soon as the end of this year. Photo: Canada’s total exports and more than 50% of Australia’s goods sent overseas. Certainly, complex federal structures under which States and territories own minerals and can receive royalties and taxes on them make the EITI more challenging to implement for Canada and Australia than for the US or Ghana. Instead of signing up, Australia chose to pilot the EITI, an informal way of testing EITI’s principles without needing to fully comply. 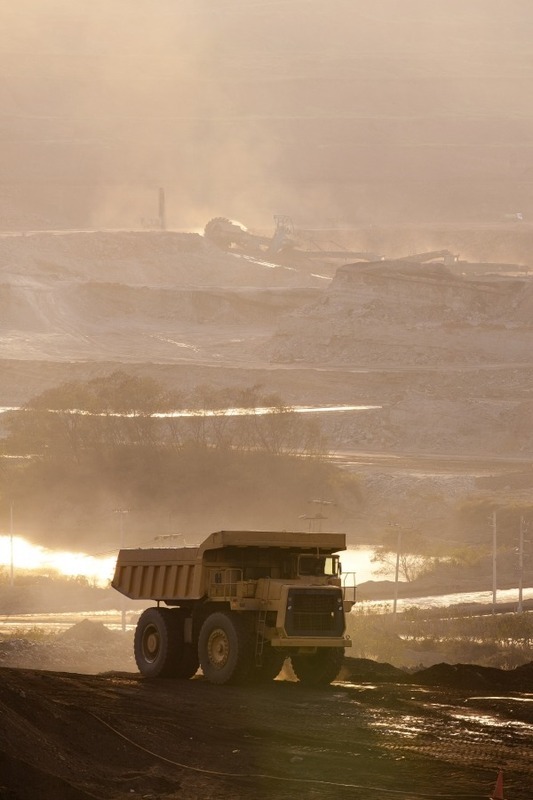 As part of the pilot, just eight of Australia’s estimated 4,000 resource companies reported. A recent pilot report recorded that that $4 million – 0.03% of payments – could not be explained. Australia will publish on the pilot’s findings in the coming months. Although Publish What You Pay Australia is confident that Australia will eventually join the EITI, recent reports are non-committal. Resource companies are protective of their transaction records and payment data, which is seen as “a major issue”, according to a 2013 pilot report. Although Canada committed in 2013 to a separate scheme of mandatory reporting requirements from oil, gas and mining firms, it has not joined fellow G8 nations in promising to adopt the EITI. In 2011, local media reported that the Canada’s natural resources agency considered joining the EITI a “bad idea”, appropriate solely for developing countries. But with US participation and the promise of more to come from other G8 nations, Canada’s original argument has become untenable. “The government’s language has definitely changed,” said Claire Woodside of Publish What You Pay Canada, although she does not believe Canada will join the EITI anytime soon. Supporters of the EITI see it as a useful part of the global transparency movement, encouraging more openness in revenue and payments from natural resources. “EITI is more a conversation about resource governance, which creates a critical space for dialogue between community sector organizations, industry and government,” said Woodside. EITI countries undergo independent analysis every three years. If signed off, an EITI compliant country is deemed to have “satisfactory levels of disclosure and openness in the management” of its natural resources. Inconsistencies between payments received by governments and those reported by companies can help reveal wrongdoing or mismanagement. The EITI’s first report on the Democratic Republic of Congo, for example, revealed that one national taxation agency had lost $26 million. As more governments open up about what happens to the resources they manage on behalf of their citizens, the EITI may become increasingly difficult for the bigger diggers and drillers to avoid.